A reverse mortgage loan is similar to a traditional mortgage — these are loans made to a homeowner using the home as collateral. In a traditional mortgage, the homeowner pays down the debt over time usually on a monthly basis with a mortgage payment. But with a reverse mortgage, the loan balance grows over time because the homeowner is not making monthly mortgage payments. A reverse mortgage usually doesn’t need to be repaid until the homeowner has passed away or has moved. As a result, life expectancy plays a huge role in determining how much money a borrower can receive from a reverse mortgage. Typically, the older you are, and the more equity you have in your home — the more money you can expect from a reverse mortgage. John and Jane are a retired couple, aged 75 and 72 (must be older than 62 years of age to qualify), who want to stay in their home, but need additional income for their living expenses. They also need some cash to pay for home repairs. After speaking with a reverse mortgage lender to discuss their options, they decide to go with a reverse mortgage that will allow them to withdraw $10,000 upfront and also provide them with a monthly payment for as long as they live in the house. John and Jane meet with an FHA appraiser, who determines that their home’s value is $300,000. They currently owe $35,000 on their mortgage. After paying off their existing mortgage and taking out a lump sum of $10,000, John and Anne will continue to receive $703.00 every month for as long as they live in the house. Line of Credit– A line of credit that you may draw upon at any time and in any amount of your choosing until the line of credit is exhausted. You can also choose a combination of different payment options, such as the example of John and Anne. In that scenario, they chose a combination of tenure payments with an additional $10,000 line of credit for home repairs. How Much Can I Get from a Reverse Mortgage Loan? Be able to maintain the property and continue paying property taxes, homeowners insurance, and any homeowner’s association fees. Complete a HUD-approved reverse mortgage counseling session. You don’t have to be completely “underwater” on your mortgage to be eligible for the Government’s Home Affordable Refinance Program (HARP). It’s one of the most beneficial government refinance programs available. However, you’ll still need to check to see if you qualify. To check your HARP eligibility, see if you meet the following five qualifications. Requirement #1 – Are you current on your payments? In order to qualify for HARP, you need to be current on your mortgage. You cannot have any 30-day-plus late payments in the last six months. In addition you can have no more than one late payment in the last 12 months. Basically, the government wants to make sure that you have the means to pay for your home. And any slow or late payment in the past 12 months is a good indication of financial instability. If you don’t meet this requirement, simply figure out a plan over the next 12 months to make sure that you’re paying on time, and then you can start the HARP refinance process. Requirement #2 – How are you using your property? For HARP eligibility, the government wants to ensure they’re primarily helping homeowners who are wanting to refinance their primary residence. However, a one-unit second home or a one-to-four unit investment property may still qualify for HARP. If your planning to refinance a home that’s not your primary residence, it’s best to speak with a lender directly about your specific HARP refinancing requirements. Requirement #3 – Who owns your loan? Your mortgage loan needs to be owned by either Freddie Mac or Fannie Mae. Don’t worry, most loans are owned by one of these two government agencies. To find out who owns your current loan, you can use the mortgage look up tool to check. Requirement #4 – When was your mortgage originated? If your loan was originated on or before May 31, 2009 you are eligible for HARP. Basically, the Government isn’t interested in bailing out anyone who purchased a home after the mortgage crisis. To find out the date of your loan origination you can use the look up tool to find when your mortgage was originated. Requirement #5 – What is your current loan-to-value? To qualify for harp your current loan-to-value (LTV) ratio must be greater than 80%. For example, on a $200,000 home, to qualify for Harp, the homeowner must owe at least $160,000 on their mortgage ($160,000 / $200,000 = 0.80 or 80%). I Meet the HARP Eligibility Requirements… now what? Great! Your well on your way to refinancing with one of the most beneficial Government homeowner plans. Click here to start the HARP Refinancing Process. There’s been a lot of talk about the Government’s Home Affordable Refinance Program (HARP). What is a HARP refinance, and how does help homeowners? The HARP Federal program was created by the Federal Housing Finance Agency on March 2009 to help homeowners refinance their mortgages after the mortgage crisis in 2008. It was particularly aimed at helping homeowners who were “underwater” in their mortgages (owed more on their mortgage than their home was worth). However, anyone who meets the HARP qualifications can apply for a HARP refinance. Homeowners are discovering that conventional refinancing (non-HARP) requires them to pay costly mortgage insurance. This type of insurance is created to protect lenders in the instance a homeowner defaults on their mortgage. With the Government’s HARP refinance mortgage plan, you won’t need to have mortgage insurance, saving an additional monthly expense that would be added in to your monthly mortgage payment. In an effort to make the HARP refinance plan accessible to more people, the Government changed the underwriting guidelines and made the rules significantly more lenient than those found in a conventional refinance. Basically, homeowners who have less than stellar credit can apply for a refinance loan using HARP. In addition, the loan-to-value requirements for a HARP loan are considerably higher than with a conventional loan. For example, someone with FAIR credit wanting to refinance a $200,000 home can do so much more easily using HARP even if their home value is less than $200,000. This is something that just can’t be done without HARP. The closing costs for HARP refinance loans are capped. This means the expense or outlay of capital required to refinance using HARP is considerably lower than with a conventional refinance. Fewer closing costs, means more money in your pocket. With a HARP refinance there is no need for an appraisal. This can save the homeowner both time and money as they won’t need to pay out-of-pocket for a home appraisal, and can close more quickly. With mortgage rates on the rise, locking in a low rate and closing quickly are becoming increasingly important. Lastly, and most importantly, HARP mortgage rates are some of the most attractive available. In addition to lower rates, homeowners will find shorter loan terms available as well — in the end, helping the homeowner pay off their home more quickly at with a lower monthly mortgage payment. So wait… you’re telling me, Congress actually did something that can help the average homeowner? Yep! Believe it… it’s not too good to be true. Think you might be eligible for HARP? Click here to start the HARP pre-qualification process >>. It used to be there was only one reason why you would want to refinance your home — to lower your monthly mortgage payment. Over the past 12 months, as mortgage rates have begun to slowly creep upwards, there’s a couple of other reasons fueling the continued refinance boom. Read on to see if any of these may make sense for you. Of course, as already mentioned, this is the most popular reason why homeowners seek to refinance. With mortgage rates still near all-time lows, homeowners are finding home refinancing can save thousands of dollars each year on their mortgage. People who bought their homes in the 1980’s and 90’s are finding today’s mortgage rates are much lower than what was available 10 or 20 years ago. The general rule of thumb for this type of refinance goal, is if your existing mortgage rate is 1% higher than current market mortgage rates, it’s best to pursue refinancing. However, some homeowners may find that even a slight rate reduction is enough to justify refinancing their home. Especially if it is a low-cost or no cost refinance (little or no refinance fees). A phone call to a mortgage bank or broker, can yield savings over the next 30 years. If your goal is to lower your current mortgage payment, simply ask for quotes from reputable banks. 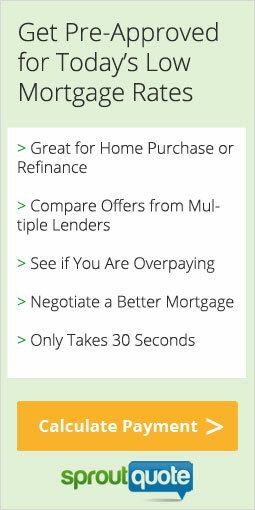 These lenders can be found online, or you can choose to go with a local option to refinance your home. By moving from a 30 year fixed mortgage to a 15 year fixed mortgage, homeowners can pay off their home twice as fast. If you have an existing 30 year mortgage and are looking to refinance your home, you may want to look at 15 year rates and see if you can build equity more quickly in your home while keeping your payment each month roughly the same as it was before. Prudent financial advisors are encouraging homeowners to pursue 15 year fixed mortgages as there’s much less overall interest cost for the life of the loan. In fact, in 2013 President Obama was encouraging homeowners who were underwater with their mortgages to refinance and seek out 15 year fixed instruments. Another way of achieving this same objective is to refinance your home to a lower 30 year fixed rate but keep your payment amount the same as it was with the higher rate mortgage. In effect, you will be applying more of each payment towards the principle of your mortgage loan, and paying off you home faster. Many homeowners are looking to consolidate debt, finance home projects, or need cash to pay for an unexpected expense. Refinancing and taking cash out of your home can be a financially savvy way to get access to needed funds. This works by refinancing your home and specifying to the lender that you would like to receive a certain amount of cash back at closing. In order to qualify to receive a cash at closing, you need to have built an amount of equity in your home. There’s no real rule of thumb here. Some lenders will be more than welcome to give you a substantial amount of cash at closing as long as your total loan amount doesn’t exceed the overall total value of your home — and of course, your income qualifies to service this additional debt. Lenders are open to this idea since it simply increases the amount of interest you’ll be paying them. Obviously you will be paying for this cash, but typically it will be at a much lower rate than credit card debt or any other source of debt available to consumers. If cash is important to you, especially if you’re trying to consolidate higher interest debt, it may be worth your while to consider moving to an even higher mortgage rate than you have currently. You’ll find that mortgage debt is much cheaper than any other form of personal debt. For example, with 30 year mortgage rates hovering around 4%, mortgage debt is much cheaper than typical credit card debt at 15 to 20% annual rates. if you have a lot of credit card debt, especially debt from several different credit cards, refinancing even with a higher mortgage rate and taking cash out makes a lot of financial sense in terms of saving for you down the road. essence having each lender present their best rate and compete for your refinance business.